Brandon Turkus September 13, 2017 Comment Now! Porsche knows chemistry. Take an engine from the Porsche Panamera Turbo that can reach 150 mph (ask me how I know), and add the third-generation Cayenne. The solution is the 2019 Porsche Cayenne Turbo that appeared Tuesday at the 2017 Frankfurt Motor Show (IAA). Or maybe it's alchemy because the specs look magical. 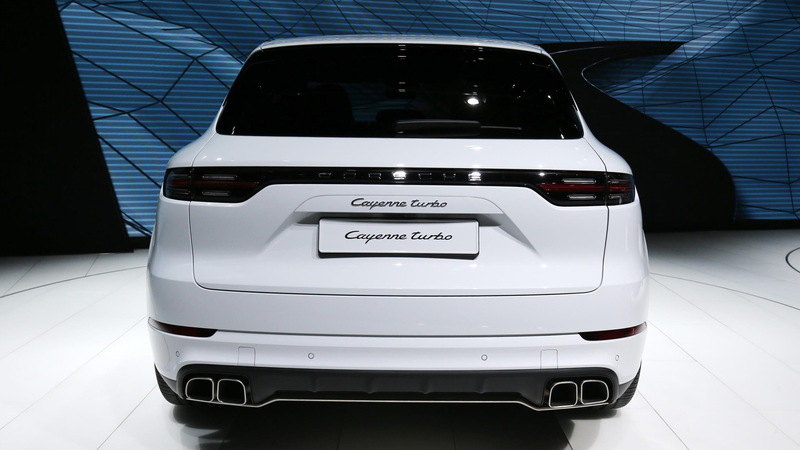 The new Cayenne Turbo uses the the same 4.0-liter, twin-turbocharged V-8 as the Panamera Turbo, so there's 550 horsepower and 567 pound-feet of torque. But despite the Cayenne's additional bulk, the engine is nearly as effective as in Porsche's handsome sedan. 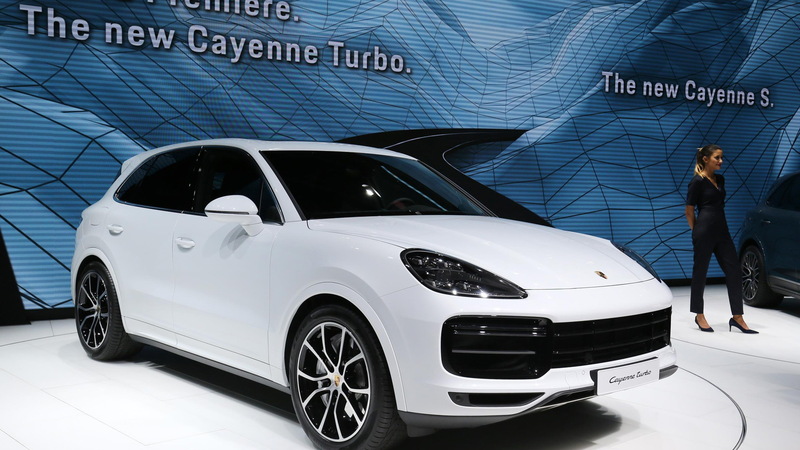 The Cayenne Turbo shoots to 60 mph in just 3.7 seconds (if it wears the optional Sport Chrono Package), whereas the Panamera Turbo does the deed in 3.6 seconds in base form, or 3.4 seconds with the Sport Chrono Package. While the sprint to 60 is nearly as fast as the Panamera, the Cayenne is unsurprisingly slower on the top end. It stops accelerating at 177 mph to the Panamera's 190 mph. 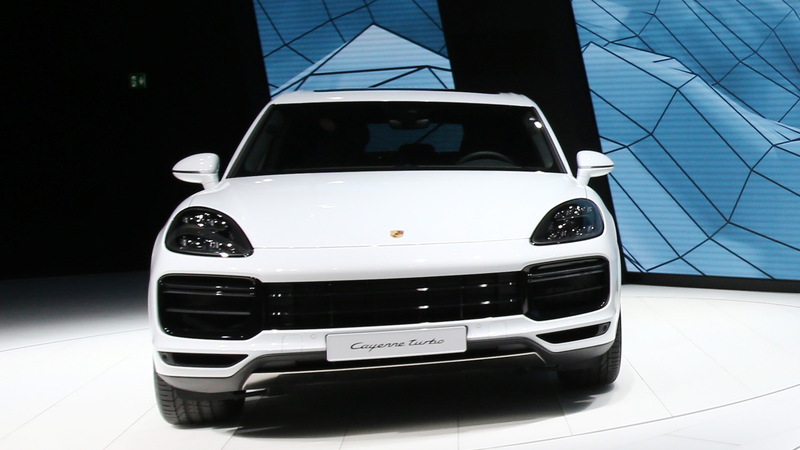 The Cayenne Turbo represents a significant enhancement for the family. 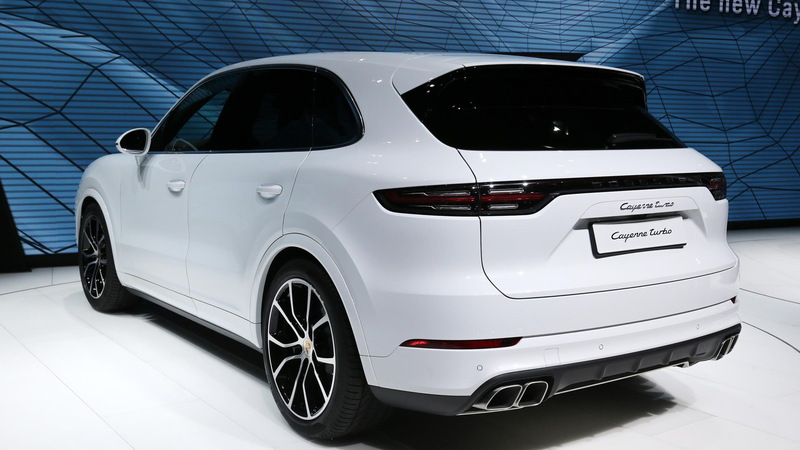 The 2.9-liter, twin-turbocharged V-6 in the Cayenne S produces just 440 hp and 406 lb-ft of torque, with a 4.6-second sprint and a top speed of 161 mph. The two models do have a lot in common, though. Both models are available with rear-wheel steering, Porsche Dynamic Chassis Control (active roll stabilization via electronically controlled front and rear sway bars), and Porsche Torque Vectoring Plus. If Porsche's other models are any indication, we'd expect the premium for these features to match the Cayenne S. That'd mean $1,620 for four-wheel steering, $3,590 for the electromechanical sway bars, and $1,500 for the torque vectoring. 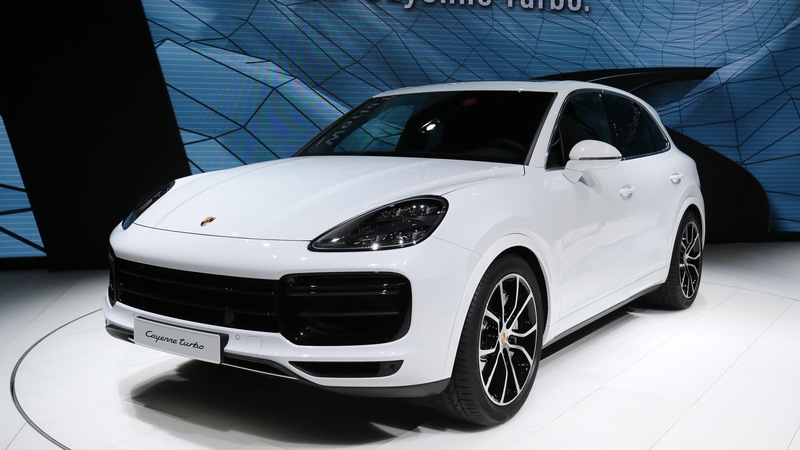 The Cayenne Turbo sports Porsche's new three-chamber air suspension and the latest Porsche Active Suspension Management system to keep the SUV composed on the road. The air suspension is a $2,170 option on the Cayenne S.
Porsche's pricing strategy for the Cayenne Turbo is interesting. Starting at $125,650, it's significantly more expensive than the $83,950 Cayenne S, but is a relative bargain compared to the $150,000 Panamera Turbo. But you'll need to wait quite a long time to take advantage of that pricing—the 2019 Cayenne Turbo won't arrive in dealerships until fall 2018. For more Frankfurt Motor Show coverage, head to our dedicated hub.